From 1999 – 2010, Nahanni batched and poured concrete on an ADHOC basis at the Ekati Diamond Mine. For our first seven years on site, Nahanni operated its batch plant from a Reimer Mobile Concrete Mixer. We were also responsible for handling and storing all batching materials as they arrived via the ice road and coordinating with mine operations, both above ground and underground. After batching all concrete from a mobile unit for the first seven years on site, Nahanni helped the client set up a permanent batch plant consisting of a Preem unit and a pre-manufactured steel building. 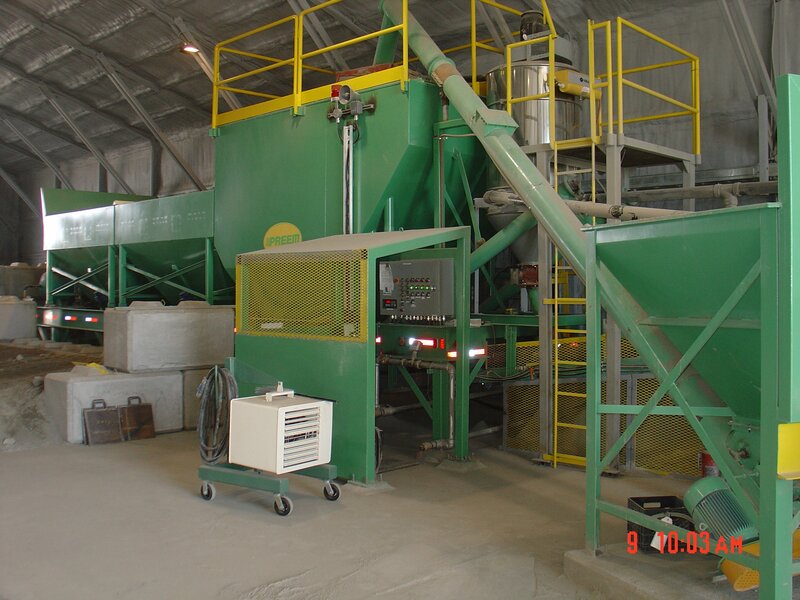 We operated the plant with our own workers, and poured and finished all concrete works on site from 1999 – 2010. From 1999 – 2010, Nahanni batched, poured, and finished all concrete works on site (an average of 6,500 cubic m per year). Over the years, Nahanni has also completed a number of ADHOC and as-when construction and maintenance projects for BHP Billiton, both at the Ekati Diamond Mine and in Yellowknife. These included the Koala Surface Dewatering Project, setting up and repairing infrastructure for an open pit operation, upgrading camp facilities and corporate houses in Yellowknife, and installing heavy and light duty truck shops.